L.O.V. revamp 2017 + SWATCHES - Cherry Colors - Cosmetics Heaven! L.O.V. cosmetics is following their sisters' steps with a big revamp of their lines. 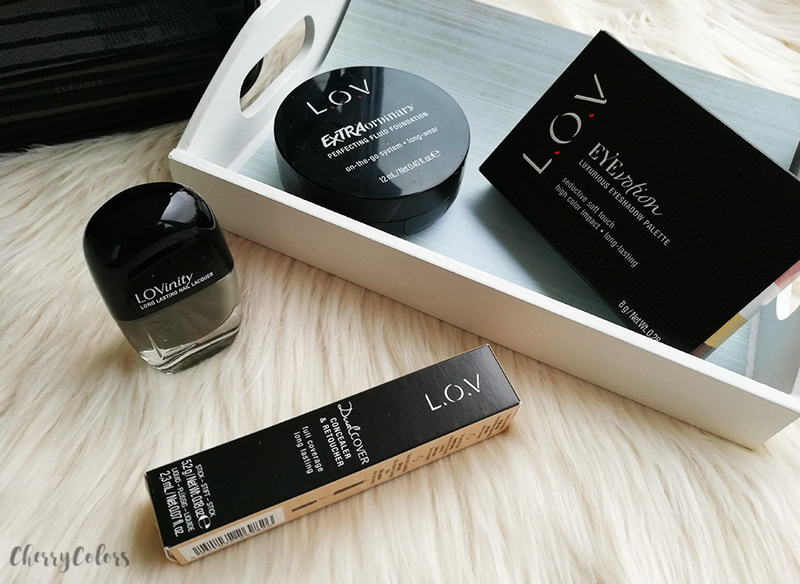 They do it two times a year and this time I decided to give it a look or two (because other bloggers have been raving about the new products). Sadly or luckily, when I went to check the products the stand was in the process of being set up so I didn't see or swatch any of the new products. But I was lucky enough to receive a couple of products in the mail! For me, the new designs of the palettes are definitely a thing worth checking out. The casing is made from silicone which looks lovely but I think it may get dirty pretty quickly. 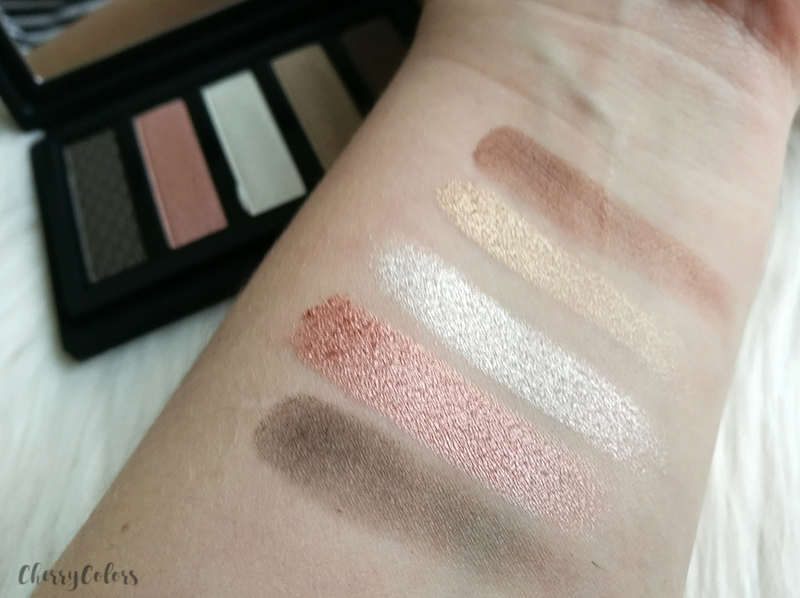 The new eyeshadow palette unites five perfectly aligned, highly-pigmented eyeshadow colors. 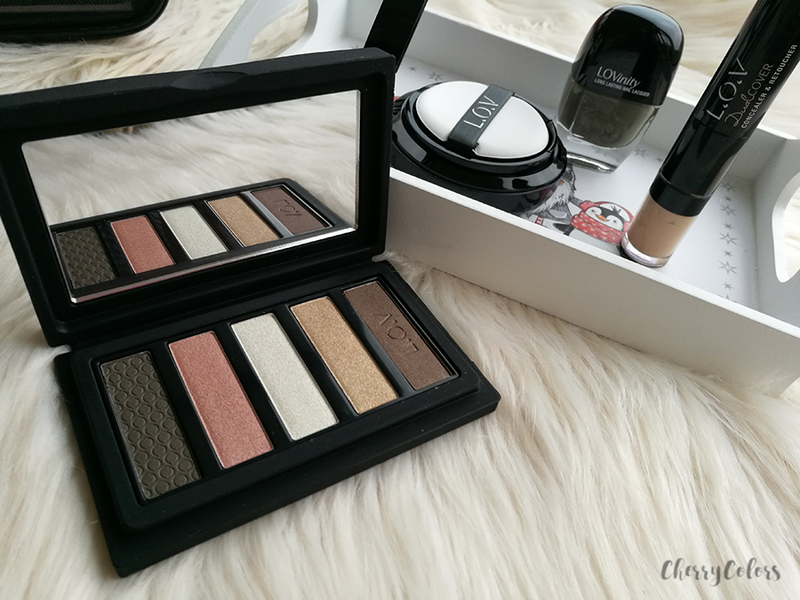 High color impact and long lasting eyeshadow palette for fascinating looks and ideally sculpted eyes. Easy to apply and blend. Incredibly luxurious. Create your individual look and fall in L.O.V! 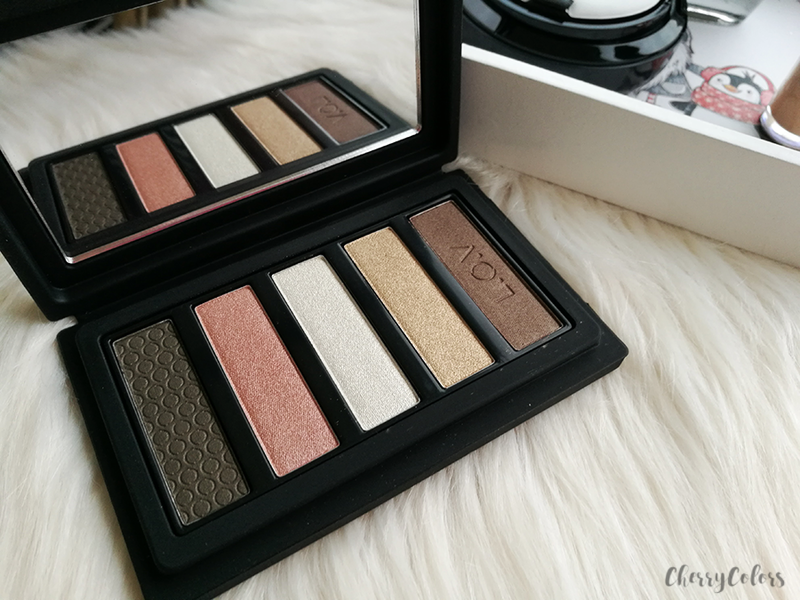 But it gets even better - the EYEvotion Luxurious Eyeshadow Palette comes in a unique soft-touch silicon packaging that turns the palette into an eye-catcher in its own right. Another amazing detail is the large mirror inside for ultimate elegance and a truly stunning make up experience. Each palette (there are currently 3 available) comes with 5 different eyeshadows that complement each other. If the case isn't interesting enough, I enjoy the fact that the palette comes without a brush and contains a huge mirror. Everything looks and feels sturdy. 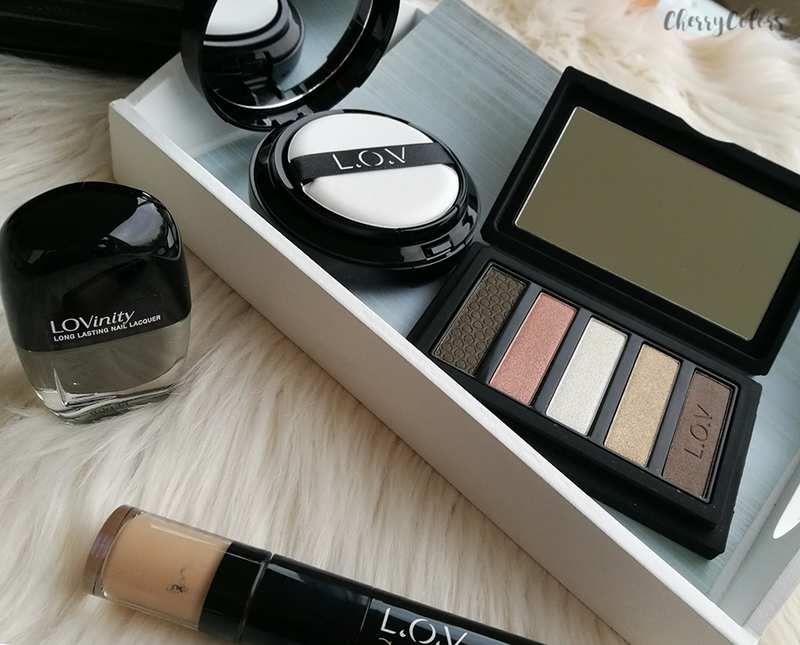 Unites five perfectly aligned, highly-pigmented eyeshadow colors. Bold metallic and intensive shimmer effects. But of course, a palette would be worthless if it was only pretty. Luckily, this palette is buttery soft with amazing pigmentation. On the picture below there's just swype of my finger. So soft! I tested it for one week and I'm still in the process of doing so. 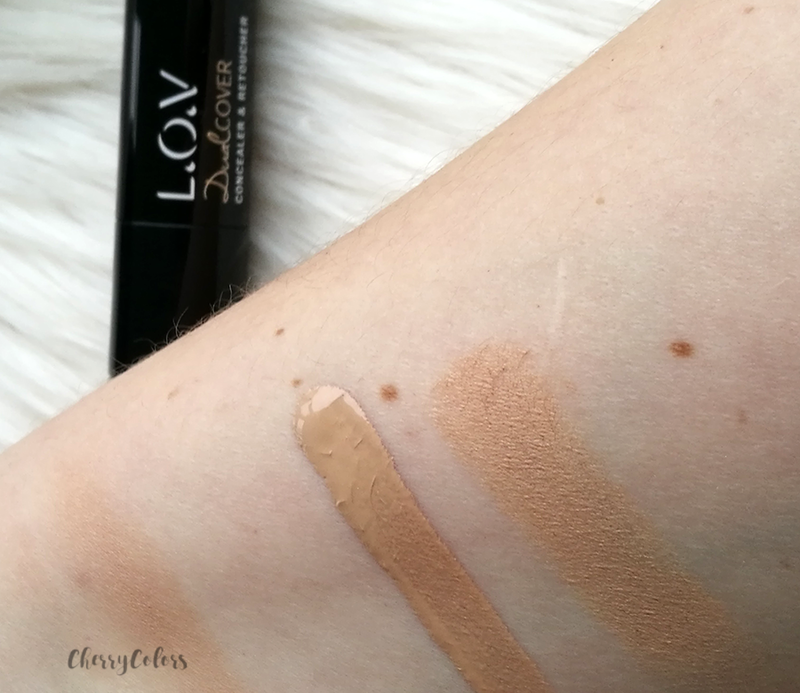 The eyeshadows apply nicely, but on my oily eyelids (with a primer) they migrate in my crease. It happens with all of the eyeshadows so it's not a big deal. They look amazing! Flawless and radiant complexion at the push of button. Light, non-comedogenic texture with an SPF 20. I've seen cushions come to our market in the last couple of months. And it's no surprise that L.O.V. does too as it's part of a company that follows trends really well. 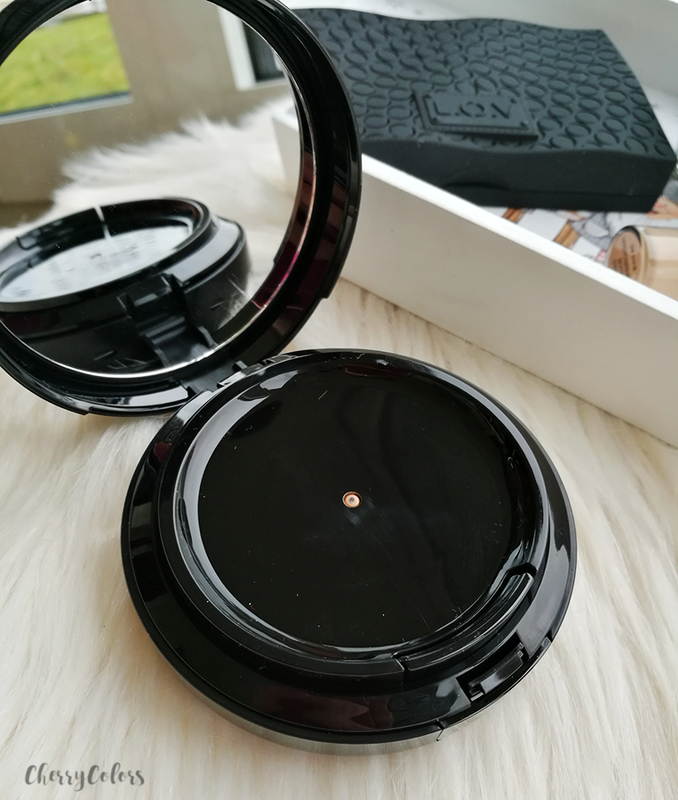 The cushion compact dispenses the cream foundation with a touch of a button. 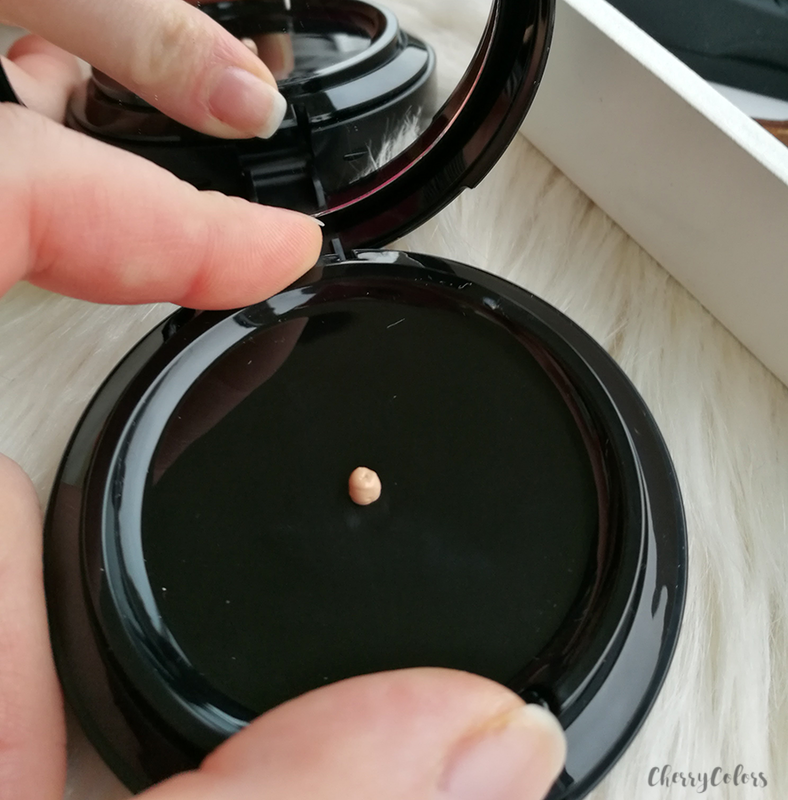 The divine surprise of sensual liquid foundation in a state-of-the-art compact. 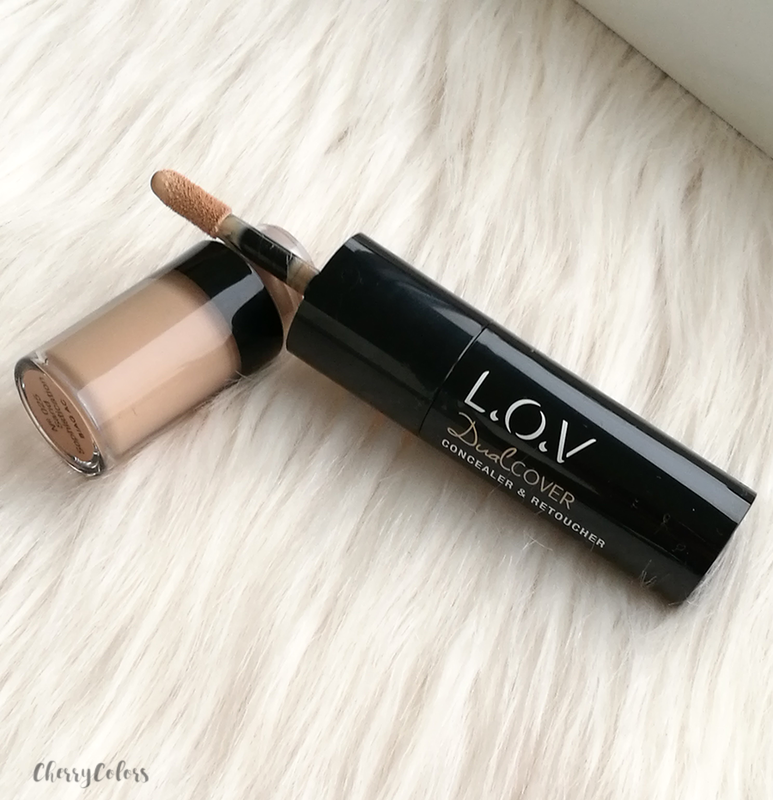 EXTRAordinary Perfecting Fluid Foundation for a flawless and radiant complexion at the push of a button! 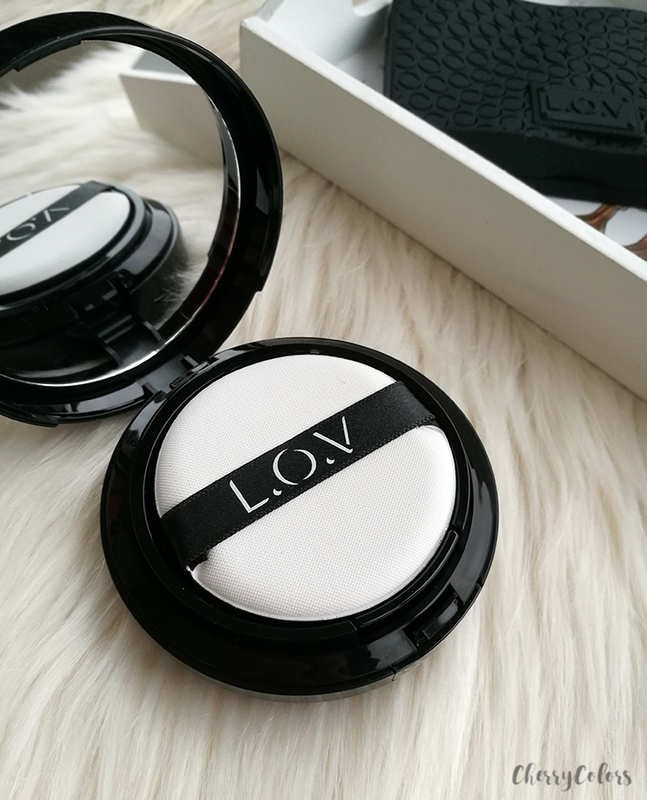 Light, non-comedogenic texture with an SPF of 20 in an innovative, compact packaging with a push-dispenser and a high-quality sponge. Then you pat it on with the applicator. For me, the shade I got (25) is too dark. But it may work for people with a darker shade of skin or for tanner people. 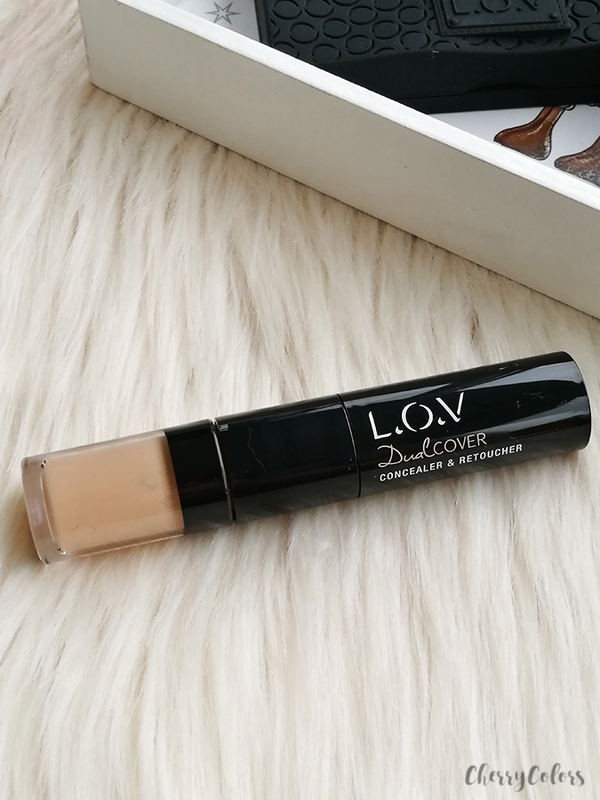 As far as I could see, the foundation can be layered and once you apply a bit more of it, it gets full coverage. On the swatch above I used way too little foundation. The foundation has a light floral scent. It's very gentle. 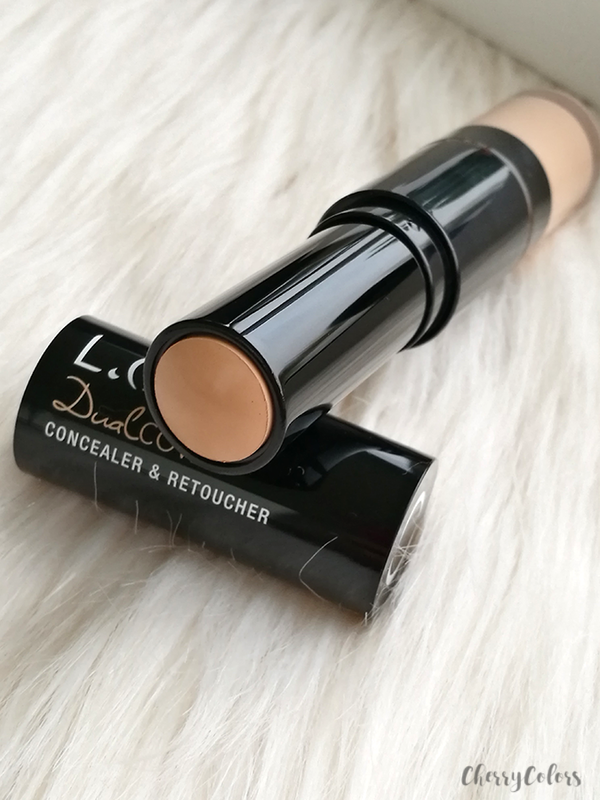 Finally, a concealer that comes with two sides - a cream side and a stick side. Both seem interesting. 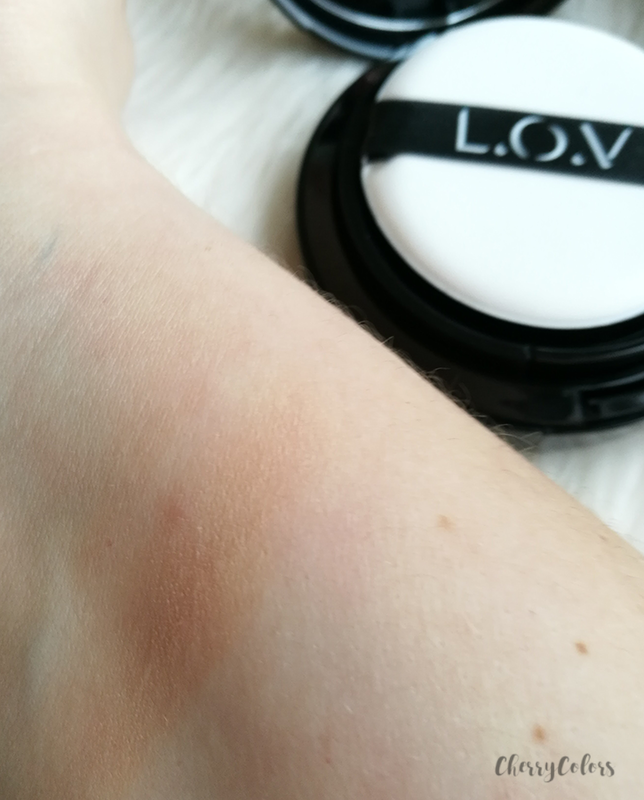 The cream side is very pigmented (but again too dark for me as it's in the shade 25) as is the stick side. the stick side reminded me of those "old" Max Factor stick concealers. It has a similar texture which brings back memories for me. So far, I'm pretty impressed with the new line! Plus I heard only amazing things about the contour palette which makes me want to have it even if I'm not really into contouring. Which product got your attention and why? Let me know in the comments below.